In this day and age, the use of chemicals is frowned upon by many people who consider that fertilization & weed control need to be carefully and thoroughly implemented to protect the environment. 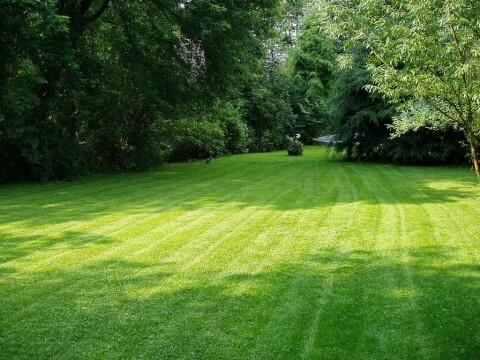 The use of chemicals, especially in summer – when weeds seem to be unstoppable – is highly prohibited, as many substances can burn the soil and damage a lawn beyond salvation. Also, DIY mixes of fertilizers and herbicides can kill beneficial insects and wildlife, infiltrate deep into the ground impacting water resources and the quality of edibles, and cause intoxications or allergies in children and pets. If you want to avoid all these, let’s have a chat with our fertilization & weed control Grapevine TX specialists! Our fertilization & weed control programs are designed having your landscape’s best interests in mind. Besides the traditional lawn care and management products we use, we also implement a 7-step year-round program using bio and organic substances that are tailored to meet your needs. Our lawn care strategy includes an innovative fertilization program, disease and fungus control, insect and grub control, core aeration and high-quality weed control products – all meant to achieve one thing: exceptionally healthy landscapes free of weeds. The 7-step program we are talking about comprises pre-emergent weed prevention, fertilization & weed control procedures mixed with follow-up visits. Our specialists will come down your property on a regular basis to assess the situation and make the necessary adjustments. As you probably know already, some plants are more vulnerable to weeds than others, while other plants are extremely sensitive to chemicals and herbicides. Only a tailored, custom-designed, and thoroughly applied fertilization & weed control program can cover all your lawn’s needs and respect all these restrictions. These follow up sessions mean that our skilled technicians will analyze your lawn with each visit, treating it for any insects or disease present and leaving recommendations for watering and maintaining the health of your lawn. And, just so you are fully informed about how we work, we should also tell you that we don’t charge extra for grassy weed control like other companies, because we aim to out-perform and out-service our competition. You don’t have to engage in trial and error experiments with different substances anymore! Make sure your lawn stays green and healthy, and your entire landscape and micro-ecosystem thrives luxuriously and free from weeds with our year-round fertilization & weed control Grapevine TX program! Give us a free call right now and ask for an estimate, we’d be more than happy to be put to the test!